You’ve decided to sell your Connecticut home. Now that the big decision has been made, you have lots to do. To help you prepare, here are the steps involved in a typical home sale. Timing—When’s the Right Time to Sell? Timing your home sale can be tricky, especially when you take our unpredictable economic environment into account. Conventional wisdom says spring is the best time to sell a home. During the spring; gardens are blooming, the holidays are behind us, and the new school year is distant. Because spring is a favorite season to sell, there’s a huge increase in competition. You’ll need to use clever marketing and staging techniques to make your property stand out among the others. Typically, you’ll want to avoid selling in December and January. Buyers tend to be distracted and budgets are often stretched thin during the holiday months. First, find out what your Ridgefield home is worth by using a free online value estimator tool or by reviewing your recent property tax bill, which is a percentage of your home’s fair market value. Several factors determine your home’s market value—Property condition, square footage, lot size, location, amenities, and recent comparable sales. There are some simple things you can do to increase the value of your home, starting with removing clutter, painting and washing the walls, and installing high watt bulbs to provide a brighter living space. Larger renovation projects, like redoing kitchens and bathrooms, typically yield a more substantial increase in sales price. Roll up your sleeves and give your appliances, windows, lighting, and every crevice inside the house a deep cleaning. Powerwash siding, shutters, and give the outside of your windows a good scrub to boost your home’s curb appeal! Maintaining your Ridgefield home and not allowing grime to build up will keep these tasks manageable when it’s time to sell. You’ll want to repair any items that are noticeably broken. Other things may come up during your home inspection, but you can get ahead of this by checking gutters, drainage, basement leaks, flooring, cabinets and more. Applying a fresh coat of paint and fixing any areas where there’s chipped paint, as well as repairing grout in the kitchen and bathroom can give your home a well-cared-for appearance. Staging your home helps paint a picture for how buyers will feel living in their new space. Don’t underestimate the importance of staging; research shows well-staged homes sell faster than homes that haven’t been staged. Start with the lighting. Ample lighting is important for making your home feel bright and welcoming. Keep window coverings open and increase the wattage of the bulbs in your lamps and fixtures. You’ll also need to get rid of unnecessary furniture and clutter. Extra couches, chairs, tables, and knick knacks can make your home feel cluttered and make it difficult for a potential buyer to imagine themselves living there. There’s no need to get rid of everything; you can put some items in storage to use in your next home. Stow your family portraits and personal items. 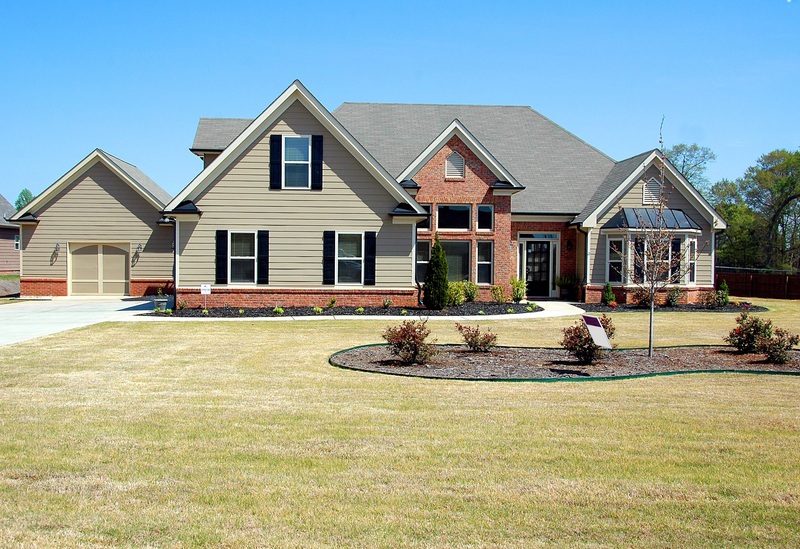 Your agent will work with you to schedule home showings at times convenient for you. They’ll also make sure you have enough time to tidy up before a potential buyer arrives. Smartphone photography just won’t cut it. Whether you’re selling your home for $100,000 or $10 million, always hire a professional photographer to take photos. The first place potential buyers will see your home is online—and if the photos are poor quality, they’ll click away and never schedule a showing. While opening your doors for strangers to walk through your home may seem scary, it’s a great tool for selling your home. Your Ridgefield real estate agent will recommend the best days and times for an open house and offer you staging suggestions. During an open house, it’s best if you leave along with any children or pets. Potential buyers will often feel awkward if they see you in your home. Remember, we want them to be able to picture themselves living there. Receiving an offer from a potential buyer is exciting. Your real estate agent has lots of experience with offers and negotiation, so they’ll be able to coach you on whether an offer is too low and work with you on counter offers if needed. Your realtor can offer you insight on what homes are selling for in the Ridgefield area. The offer may include other items like a request for you to sell your appliances or leave window coverings with the home. They’ll also outline a closing date—the day you’ll sign the papers and transfer ownership to new owners. Your real estate agent is invaluable here. They only have experience working to get you the best price for your home. Once you and your buyer agree on all terms, you’ll need to schedule a home inspection which has the potential to change some of the terms of sale. Usually, on closing day, you’ll have emptied the house of all your possessions and will pass the keys over to the proud new owners of your home. Your Ridgefield real estate agent can assist with all aspects of selling your home. Agent are skilled in pricing, marketing, and can help you navigate the intricacies of negotiations, inspections, and closing. Need some guidance through the home selling process? Contact me today!